Martin Maruskin blog (something about SAP): Transformation code in INCLUDE: how to perform where-used? Transformation code in INCLUDE: how to perform where-used? Here let’s have following scenario. 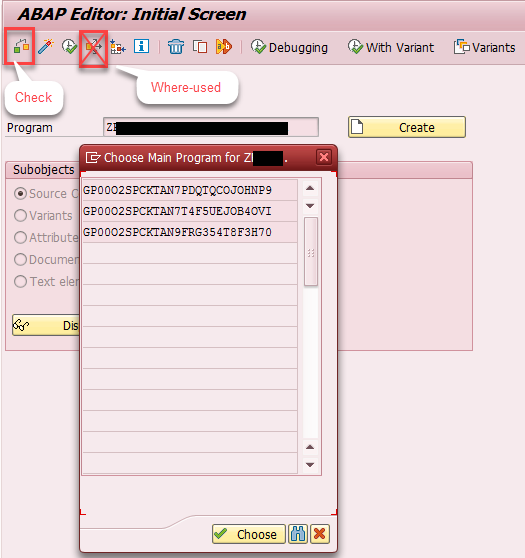 ABAP logic for Transformation (TRFN) is encapsulated in ABAP INCLUDE and it needs to be changed. Before a change is done it is beneficial to check what are all TRFN where the ABAP include is used. In case there are several TRFN and change is not supposed to be done for all of them an issues can came. Normally as the INCLUDE it would be regular ABAP one there is a Where-Used functionality available in t-code like SE38/SE80. However it doesn’t work as the code of TFRN is stored in generated report (GP*). What actually works in case of the GP* reports is Syntax Check functionality available as well as in the SE38/SE80. Via the Check the list of the all TRFN is available. Hi, Thanks for writing all those articles, it's really useful. Actually GP programs are also listed in where used list, depending on how you initialize the where used list. If EU_INIT job runs is scheduled with program SAPRSEUC, only customer programs are scanned. 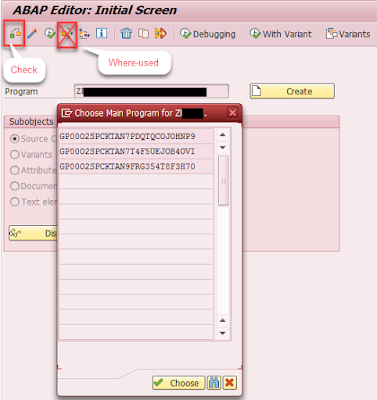 If scheduled with SAPRSEUB, even standard programs are scanned. Data is stored in tables WBCROSSGT for table/field usage, WBCROSSI for include usage. I wasn't aware of these tables you mentioned. It is great to have the blog enriched with your information.